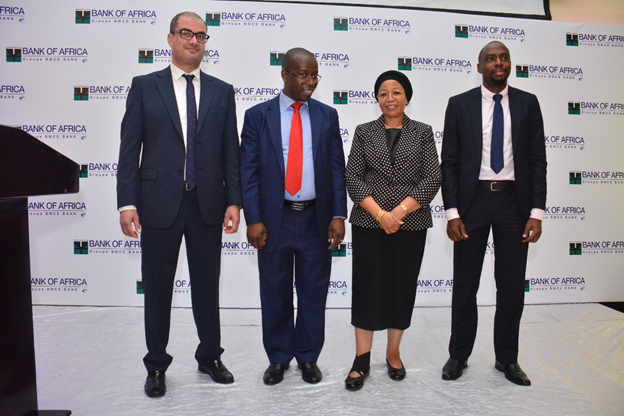 On the 2nd of April, 2019, BANK OF AFRICA- TANZANIA introduced the bank’s new Managing Director and CEO Mr. Joseph Iha together with two other members in the managerial level, Deputy Managing Director Mr. Samir Yassine and General Managing Credit & Control Mr. Ellis Katwebaze. 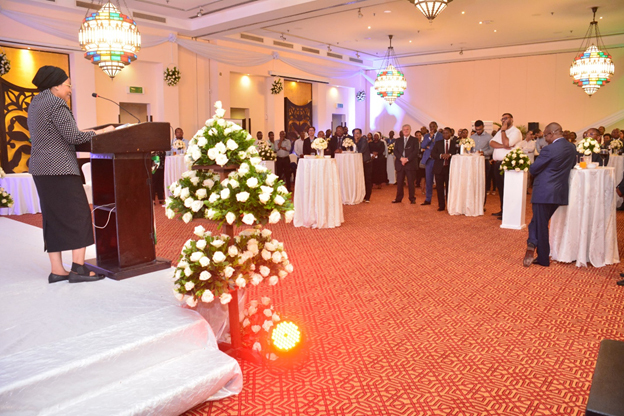 Addressing the bank’s staff members, clients and Bank of Tanzania Deputy Governor, Dr. Bernard Kibesse in Dar es salaam, Iha said digitization is the only way BOA under his management will consider as priority. “We will focus on digitization to enhance self- service solutions especially for corporate customers. We will continue to invest in innovation and alignment of our products and services to make them relevant to meet specific needs of clients,” said Iha while acknowledging that he has inherited a health bank. He promised to stay the course by improving service delivery, productivity while reducing cost and risk facing the bank’s products and services. “We will also focus on increasing value for business in the East African region,” the new BOA chief executive added. 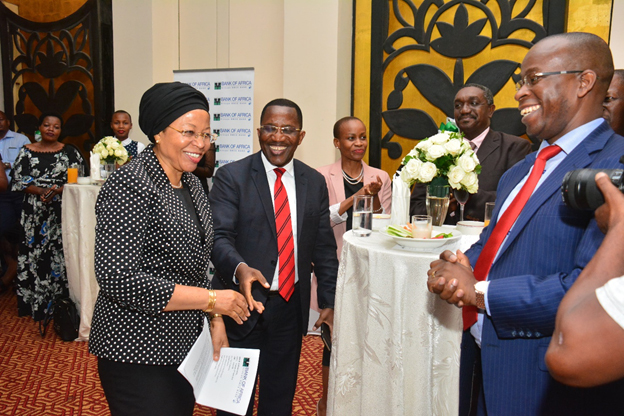 BANK of Africa Tanzania Limited Board Chairperson, Ambassador Mwanaidi Maajar (left), BANK of Tanzania Deputy Governor, Dr. Bernard Kibesse (Center) and the new Managing Director, Mr. Joseph Iha at a Cocktail party in Dar es salaam. 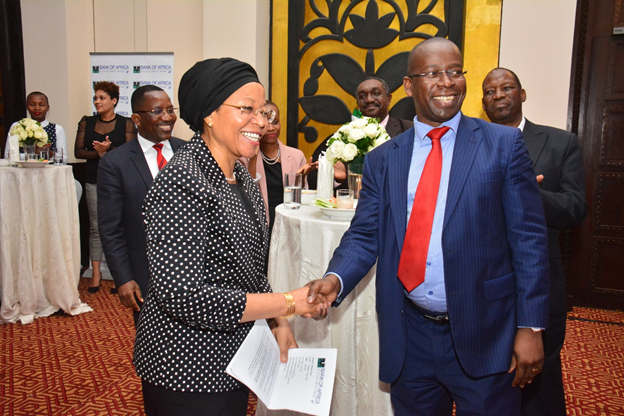 BANK of Africa Tanzania Limited Board Chairperson, Ambassador Mwanaidi Maajar shaking hands with the newly appointed Managing Director, Joseph Iha at Serena Hotel, Dar es salaam. BANK of Africa Tanzania Limited Board Chairperson, Mwanaidi Maajar (Centre) together with the high ranking officers of the bank introduced to customers the new Managing Director, Joseph Iha, Deputy Managing Director Samir Yassine and the General Manager, Credit and Control, Mr. Ellis Katwebaze at Cocktail party organized by the bank. 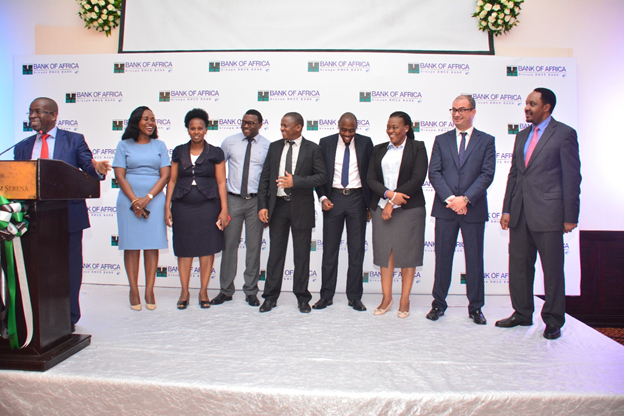 Bank of Africa newly appointed Managing Director, Joseph Iha introducing his management team to the clients, board members and Bank of Tanzania Deputy Governor, Dr. Bernard Kibese during his inauguration in Serena Hotel, Dar es salaam. 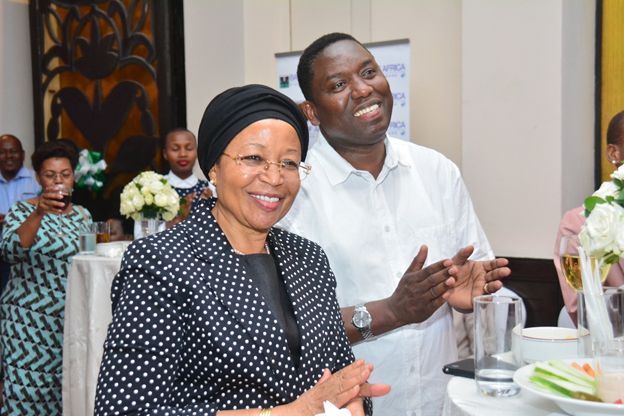 BANK of Africa Tanzania Limited Board Chairperson, Mwanaidi Maajar sharing a light moment with the Ambassador of Kenya Embassy, Ambassador (Hon). 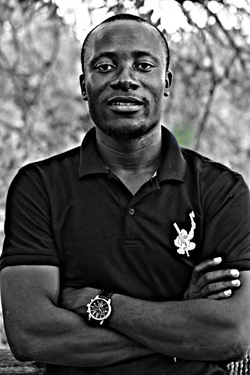 Dan Kazungu. Bank of Africa Tanzania Limited Board Chairperson, Ambassador Mwanaidi Maajar addressing the invited guests at the introduction of the newly appointed Managing Director & CEO of the bank.